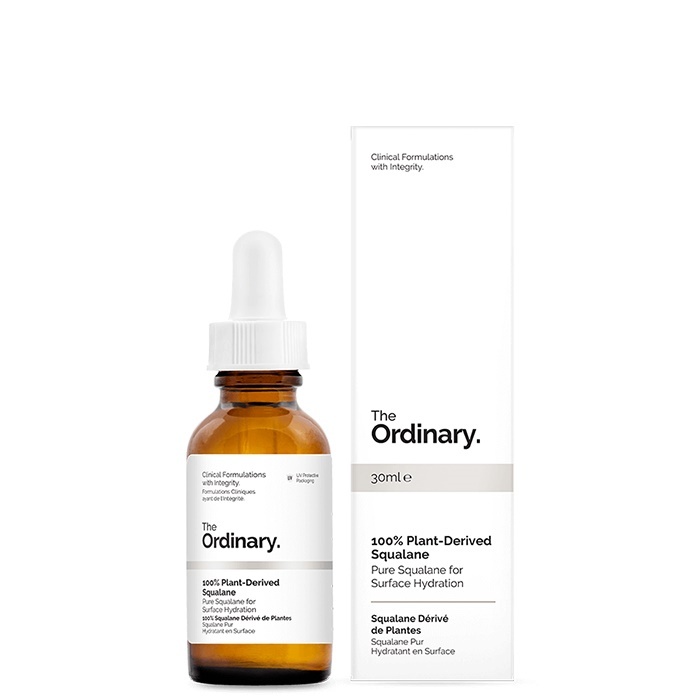 A Lightweight Plant-Derived Solution to Support Healthy Hydration Squalane is a saturated and stable hydrocarbon that is found naturally in the skin. It has very high emollience, is an exceptional hydrator and can prevent ongoing loss of hydration that impairs dermal suppleness. Squalane is non-comedogenic and is suitable for use on all skin types. It can also be applied to hair to increase heat protection, add shine and reduce breakage potential. Note: This product uses 100% pure plant-derived Squalane that is ECOCERT approved and is a USDA Certified Bio-based Product. Directions: Apply a few drops daily or as needed to entire face ideally after water-based treatments. Intensely nourishing, perfect for using after water based treatments. I love this product. I get dry spots, and in the evening I can wear facial oils, but during the day I need something that layers well under mymakeup. This is it! It reduces flaky spots but does not cause my makeup to crack and break down. Just a couple of drops after my serum and prior to moisturiser. Not oily, and fragrance-free! it has become a permanent part of my routine.